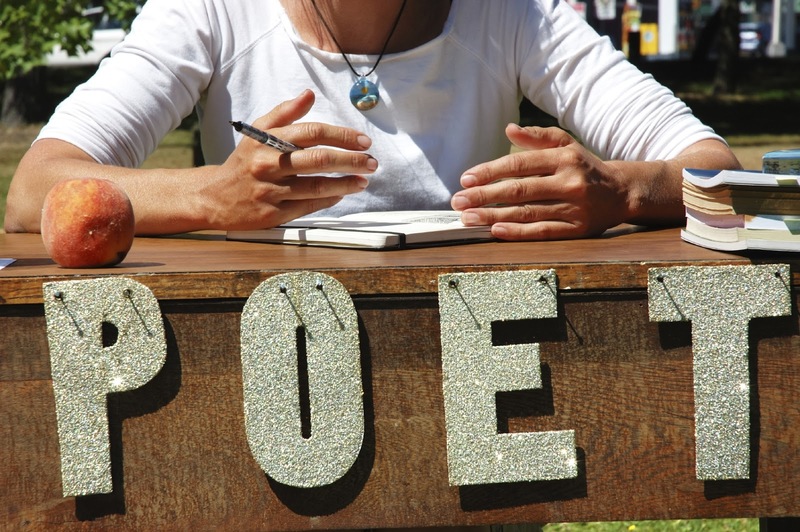 I am excited to launch a new (ongoing) series on my blog: Poet to Poet. I'm trying to connect two poets, one interviewing the other about her/his new book. 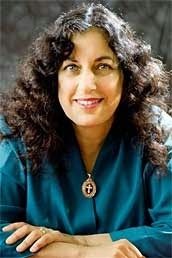 Our first pairing features Margarita Engle, winner of multiple Pura Belpre and Newbery honor recognitions, who interviewed new poet, Mariko Nagal. 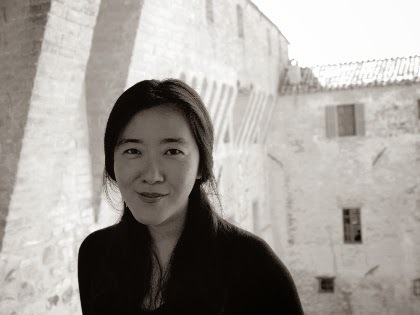 Mariko has a new novel in verse debuting March 1: Dust of Eden (published by Albert Whitman). Here's the lowdown on the book: "'We lived under a sky so blue in Idaho right near the towns of Hunt and Eden but we were not welcomed there.' In early 1942, thirteen-year-old Mina Masako Tagawa and her Japanese-American family are sent from their home in Seattle to an internment camp in Idaho. What do you do when your home country treats you like an enemy? This memorable and powerful novel in verse, written by award-winning author Mariko Nagai, explores the nature of fear, the value of acceptance, and the beauty of life. As thought-provoking as it is uplifting, Dust of Eden is told with an honesty that is both heart-wrenching and inspirational." I challenged them to pitch and respond to three questions, just to get the ball rolling. Here are Margarita's questions and Mariko's responses. Enjoy! 1. I write historical verse novels, so I love it when other authors see the value of this form. Why did you choose the verse novel form for a historical story, and how did that choice influence the way you tell the story? Long time ago, when I was an undergraduate, I minored in history; I loved imagining the how’s and why’s in history – and also making connection between the past and the present. I was never good about memorizing what happened in what year, but I was good at imagining and, probably more importantly, picking up on the smallest details and daydreaming about the voiceless and the forgotten people in history. I love archives and history books, I love reconstructing a faraway time and place through learning about small details. Every time I start “living” in the past through my research, I’m startled by how similar we are, how much their stories are our stories, and their issues and heartbreaks still the same as ours. 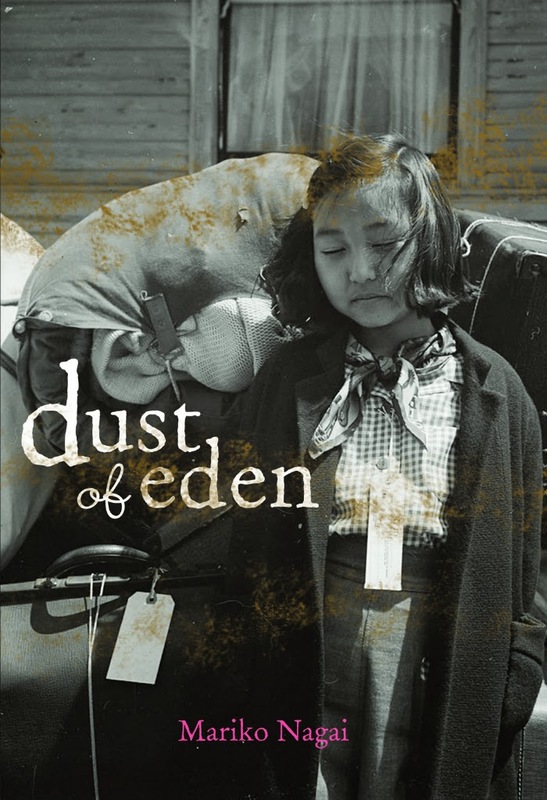 In Dust of Eden, the story found its own form – there have been many beautifully written books about Japanese-American internment camps but I had to tell my own version of the story, Mina’s story. To be honest, at one point, I almost gave up on writing this story – but Mina kept insisting to tell her story – and later, Nick, her brother, also start insisting to tell his story. I knew it was going to be told from Mina’s point of view; I knew they were going to an internment camp; I knew she’d come out of the experience with a conflicting view about what it means to be an American. The rest unfolded on its own. Poetry – or at least the verse novel – gave a poetic space for her internal voice, her bewilderment, her anger and her sadness to come out in small snapshot-like moments. I can’t imagine this book told in any other way except for the form it’s in. I think most writers feel this, but now that the manuscript is done and about to be published, I wish I could rewrite this verse-novel to make it better – I see so many plot holes and ways to make it better. Alas, it’s too late now. 2. Your subject is a deeply emotional one. Was there a personal inspiration, and how did your own emotions pass back and forth between you and your characters? One of the early blog reviews complained that all Japanese-American internment camp stories are sad, and to be honest, I’m still puzzling over the comment. All over the world, every day, people are driven out of their homes because of natural crisis or war or for financial reasons, and these scars go deep, no matter how much they’ve recovered their losses in later years. When the government betrays you in whatever shape – be it their failure to protect farmers, children, underprivileged, workers – it does make you question the idea of citizenship and state. And in many ways, Japanese-Americans were betrayed by their government – Americans of Italian and German descents weren’t interned; the moment attack on Pearl Harbor occurred, Japanese-American men of prominent civic positions were rounded up and imprisoned, just because they were heads of Japanese-American community associations, or they were Buddhist and Shinto priests. These people lost everything – their homes, their properties, their businesses – all of these sold off at one-tenth, two-tenth of what they were worth. It took nearly 45 years when the Civil Liberties Act of 1988 passed and interned Japanese-Americans were restituted, finally. I grew up in San Francisco amongst many Japanese-Americans, and for me, Japanese-Americans were a mysterious group of people. They looked Japanese, but their Japanese were often times “broken”, or at their best, the language from long times ago, the kind of Japanese I heard my grandparents’ generation speak. They had the modesty and work-ethic of the older Japanese generation as well but in many ways, they were fully American at the same time. The first time I learned about the internment camp was through Dr. William Kiyasu, our doctor in San Francisco, who, one day mentioned about how he was lucky to find a sponsor to take him out of “the camp” to finish his university studies. You have to keep in mind, back in early 80’s, the internment camp experience was still a deeply humiliating, deeply painful experience for the Japanese-American community; they didn’t talk about it, and though they loved their country, they still carried a deep wound inside of them. And I still remember his face when he was telling that story – his eyes had a faraway look. So this story – at least the Japanese-American internment camp part – has been with me for nearly thirty years. I grew up as a global nomad – my father’s job forced us to move every three years around the world, so for me, the idea of displacement is a keenly felt subject. In many ways, all of my work – be it for children or for adults – tackle the question of displacement and homelessness. When I started to write Dust of Eden, I had just returned to living in Japan after twenty years abroad – and for me, I just couldn’t find a way to navigate my way around this foreign land. I looked Japanese, I spoke Japanese, but I didn’t belong there linguistically or culturally. Of course, now that I’ve lived here for nearly fifteen years, I find myself feeling the same thing whenever I go to the US. Well, that’s not true – I seem to belong everywhere and nowhere at the same time, and I’m still trying to make sense out of that phenomenon. Dust of Eden came from both the historical and the personal – my desire to articulate the sense of loss, the sense of bewilderment about who I am, through a historical time and place. 3. Is there one special aspect of your story that you hope children will remember long after they finish reading the book? This is a hard question. Let me see… I hope they will remember that everyone has a story inside of them. I want readers to come out with a sense of hope, a sense that no matter how bad things may look, it’s going to get better, eventually, and it will get better. 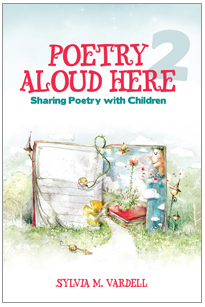 Poetry Aloud Here 2... out now! How is the second edition different from the first? It’s 70 pages longer (but with the same six-chapter structure) and full of new citations of books, poets, awards, and more. Well, several years have lapsed since the first book was published and so many new poets and fantastic books have emerged. It was fun to update all that information. It opens with a fabulous new poem, “How to Read a Poem Aloud,” by the lovely April Halprin Wayland and features new poet profiles and poems (by Margarita Engle, David L. Harrison, and Joyce Sidman) alongside the previous wonderful poets, profiles, and poems. Many new “practitioner perspectives” are also woven throughout, with teachers and librarians sharing how poetry has worked in their settings. In the section “Meet the Poets,” I feature 66 “Names to Know” with nuggets about each of them and their work (up from 50 poets featured previously). Award information now also includes the Children’s Poet Laureate and Lion and Unicorn Award along with updated information about all the previous poetry awards. Plus there are many new lists of poetry books, like 10 collections of haiku, 10 novels in verse for the intermediate grades, and new pairings of fiction and poetry and of nonfiction and poetry. There’s a whole new section on poetry e-books and poetry apps and several new activities to try (like a “Treasure Hunt for Poem Parts”). The list of poet birthdays to celebrate is twice as long as is the list of poems about libraries (I LOVE finding poems about books, reading, and libraries), and so is the the appendix of “Noteworthy Poets” (including “Notable Poets from Many Cultures”). Finally, the Bibliography of Children’s Poetry Books includes more than 200 new poetry books that are cited throughout the narrative. Chapter One: Why Make Poetry a Priority? Chapter Two: Which Poets Are Popular? Chapter Three: What Poetry Do Children Enjoy? Chapter Four: How Do You Promote Poetry? Chapter Five: How Do You Present Poetry to Children? Chapter Six: What Happens after You Share the Poem? I hope you’ll give my new book a look. I welcome responses and feedback. Thanks bunches! Meanwhile, head on over to No Water River where the multi-talented Renee LaTulippe is hosting the Poetry Friday party!